Beyonce, who looks ready to pop those twins, spent her final Mother’s Day as a mom of one with her family, newly released Instagram photos show. Daughter Blue Ivy, mother Tina Lawson and husband Jay-Z all accompanied the pregnant singer to visit the popular Museum of Ice Cream in Los Angeles. 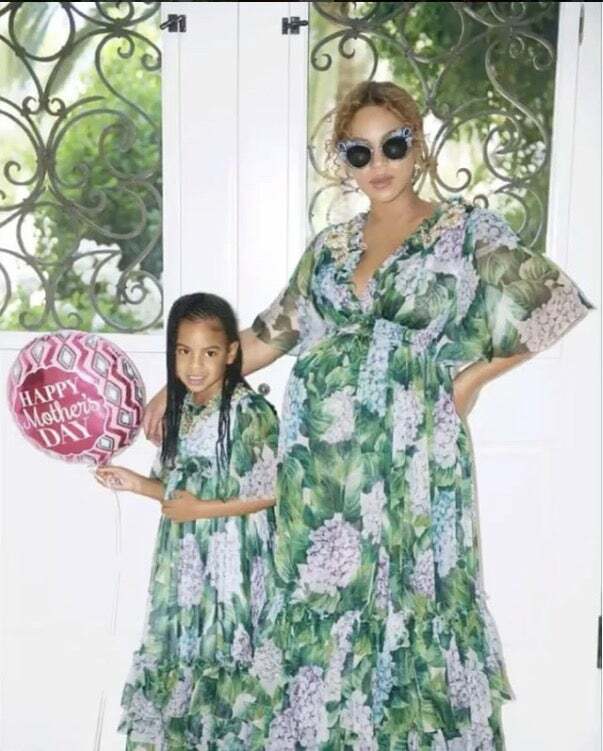 The Lemonade singer wore matching hydrangea-print chiffon dresses by Dolce & Gabbana with Blue Ivy, who can be seen holding a Mother’s Day balloon as she poses up with her mother, and grandmother. The family can be seen playing in the museum’s life-size sprinkle pool and letting their hair down. “Being at the ice cream museum makes you feel like a kid again,” Miss Tina said on Instagram after the visit. And, of course, Bey is glowing!